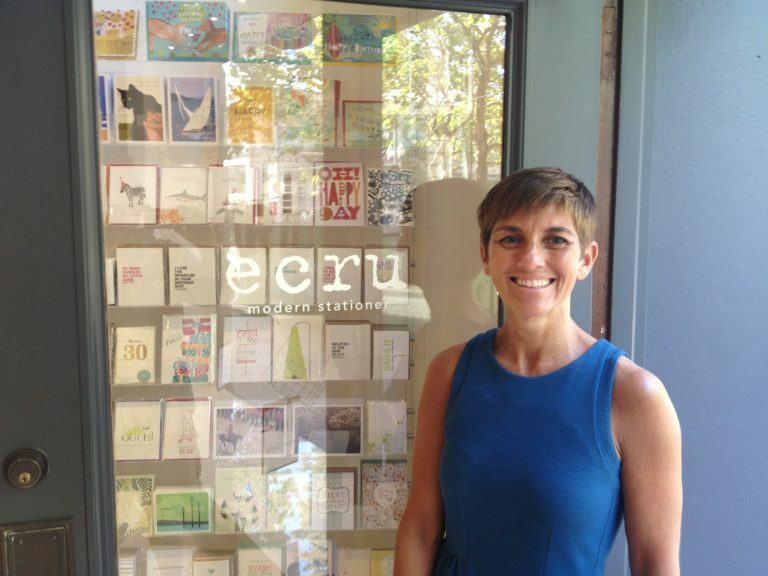 LeAnn Dolan opened her first Ecru shop in Portland’s Pearl District in July 2006. This was a culmination of more than 10 years in the stationery business and her growing passion for all things paper. These formative years imparted in LeAnn a strong belief that sending the perfect card has the power to create personal connections in celebrating and honoring all life’s moments, holidays and milestone. Her inspiration empowered her to fill her new shop with a curated collection of hip + modern stationery, paper goods and gifts. All beautifully designed and crafted by makers near and far with a modern sensibility fused with classic sense of style. In 2014, Ecru began to expand in Portland with a second shop located in the heart of Downtown near the Pioneer Courthouse with a third location opening soon after in 2016 at the base of the Ross Island Bridge serving the South Waterfront neighborhood.